Sol and Rachel do a Blog: Finley's Kindergarten "Graduation"
I can't believe we're wrapping up Kindergarten! Finley had a good year and really enjoyed himself. He had a few rough patches with having a hard time not chatting all the time... but the last few months seemed to go much better. He stayed on green every day and even got blue once! 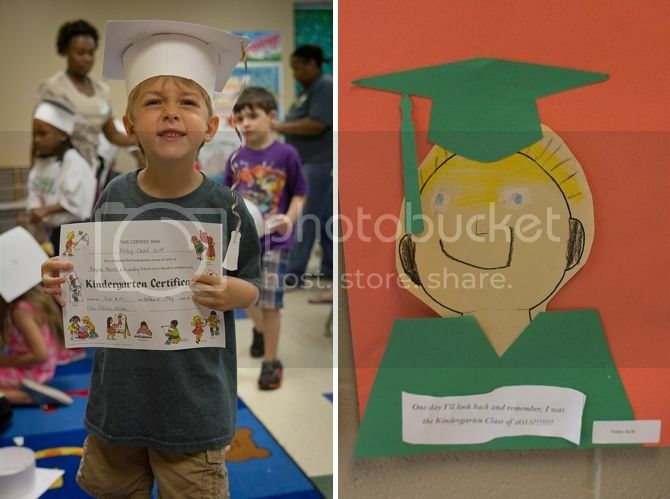 His school doesn't do a Kindergarten Graduation--which I didn't realize we needed in our lives until all the cute pictures of little kids in caps and gowns popped up on my news feed. 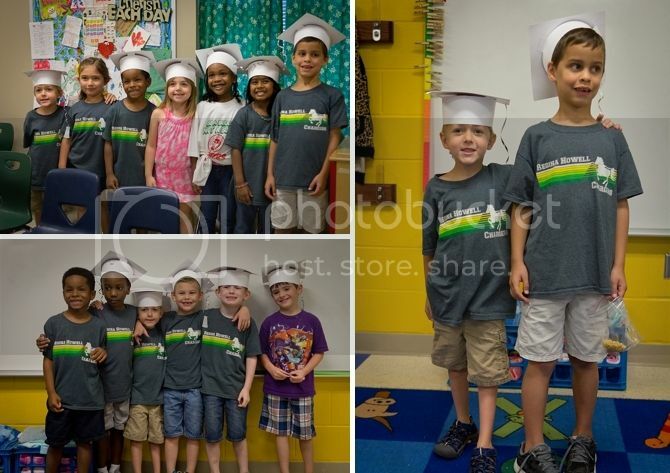 His class had a little celebration consisting of cute paper hats. They sat in rows and watched a slide show, then ate pizza. I think he's aware that he's the tiny one in class--he's told me he doesn't like it when other kids call him cute! His self portrait makes me laugh. Also, his ability to smile is really horrible. I didn't get a picture of him with his teacher or with me--kind of a mom fail. It's my first kindergarten. I'll nail it with Braden. I mean, you're like a foot shorter than me. But I still love you very very very much. Also, Erica used to have a "green lunch" with kids who stayed on green all month. She'd take in a special green treat for them. I think elementary school is adorable! How sweet!! I love his Kindergarten graduation photograph. Well, I am going to holiday party in Miami. Actually my son just graduated from university. So I want to throw a grand celebration party, after all he is first graduate in my family! Graduation themes aim to give you a great choice of themes to make the graduation party, and ceremony, thrilling for the little graduates! I love Kindergarten graduation photograph. At the end of the Kindergarten year, many schools have celebrations to recognize students ( Kindergarten Graduation Gifts hard work during this first year of schooling.